What's Your Best Tip for Making Quick Money? It's a common story: the electric bill is due, the bank account is running low, the fridge is empty and the brakes need new pads. Suddenly, money goes from tight to nonexistent, and you find yourself trying to figure out how you're going to make it through the next few days, weeks, or months. What did you do? Which strategies and plans worked? More importantly, which ones didn't? Over the next few weeks, we're going to look at the best and worst ways to make quick cash. We'd like to have your stories -- the good, the bad, and the ugly. So, if you've got a great quick money story, e-mail me at bruce.watson@teamaol.com or leave a message in the comments section below! Late on rent? Can't fill your car with gas to get to work? Assuming all available funds and traditional sources of credit are tapped out, here are 25 ways to raise cash in a few days. Keep in mind, while all of these ideas are legal, some of them are not something we would encourage. From being an Amazon Mechanical Turk to banking your sperm we share DailyFinance's 25 ideas for raising cash in a hurry in order of the least to the most desperate. In a truly free market economy, you'd be worth a lot of money in organs alone -- selling a kidney or lung could solve your money woes. However, the government and our sense of propriety permit you to only cash in on plasma, hair and (maybe) breast milk. You can legally trade plasma for cash in the U.S., the fluid in which your blood corpuscles and other tiny bits circulate through your blood system. In most larger cities, there are clinics that will pay you up to $35 or so for some of your plasma, which you can donate twice a week. The process, which involves taking blood, draining off the plasma and returning the remains to your system, takes around half an hour to an hour. To donate, you'll need to be relatively healthy and drug free. The hirsute can also make some quick cash by selling off their hair. Hair must be at least ten inches long, and uncolored. Well tended (not over-shampooed or sun damaged) hair is worth more. Web sites such as The Hair Trader serve as a market for those looking to sell or buy hair. Sales announced on the site range from several hundred to over a thousand dollars for a generous length of tresses. Finally, some mothers who find themselves with an overabundance of breast milk have taken to offering the extra for sale on the Internet. However, the trade, of questionable legality and fraught with health issues, remains rather clandestine and we can't recommend it, even in a pinch. You're out of cash. What do you do? Hit up Moms and Dads. No, not your mom and dad, silly. Moms and Dads; those worn-out individuals with small children under five who barely remember what it's like to go to a restaurant and not spend the evening quelling tantrums and wiping up spilled water. There are a lot of part-time jobs you can get in order to turn a quick buck, but exercising the babysitting option is one of the most immediately lucrative. Reliable babysitters are in high demand. You can almost name your price. Babysitters earn upwards of $15 an hour these days. Offer to sit for friends' kids Friday or Saturday night. The parents will be only too happy to hand you cash when they return. Other quick cash options? House-sit for friends of friends (friends by definition, will expect you to feed their cat and take in their mail for free. People you only know by association won't). Everyone's living quarters are different, of course, but there's a certain (rather obvious at first) list that everyone should go through first. Your bed stand. Don't most of us have a little spot where we put money, after we toss off our clothes at the end of the day? But, sure, there's probably nothing there, because you've already raided this. Hone in on your home office. Have one? It seems like another natural place where you might have stuffed a few bills or coins aside at one point. Survey your sofa. Underneath those cushions, where pocket change slides out and drops into the crevasses of your couch, is often, quite literally, a gold mine. And possibly half of a melted Hershey's bar. You really do need to get down here more often.Linger in your laundry room. Another favorite place of wayward dollars and cents. Chances are you, a spouse or some other significant other, has taken some money from the pockets and put some money aside. Or maybe a quarter or wadded up dollar is in the machine right now, like a mob of people at an American Idol audition waiting to be discovered. Check the car. Most of us have a little spot in the car where rogue coins wind up, when we don't have time to put them in a pocket or purse. They sometimes wind up under the car seats. You probably have something here. The junk drawer. Everyone has one. I guarantee you have a few coins in here, unless you raided this recently. And again, perfect time to clean this out. The kitchen. Chances are, your junk drawer is in here, or your jar of coins, which you've already thought of or taken from, but what about looking underneath or behind the refrigerator? Can anything fit under the oven? You can clean these behind or underneath these appliances and possibly find some money at the same time. And while you're here, what are you using this spare money for? Groceries? Then, of course, rifle through the coupons. That's money right there, or a way to make the money you do find go farther. Your bedroom closet and laundry hamper. Go through the pockets of the clothes, clean and dirty. Some money has to be in there somewhere. A yard sale has its shortcomings. What if you don't have a lot of items, don't want to sit by your garage all day, or depend on local neighbors as your customers? A good alternative is to make use of Craigslist, which has become a great internet site for buying and selling almost anything legal- furniture, bicycles, musical equipment, housewares, art, and whatever. Over 40 million people use it every month. Each fair-sized community has its own place on Craigslist, where sellers can post goods (free of charge) for sale. Unlike Ebay, Craigslist only acts to hook you up with the seller; it does not take a role in the transaction. And since most transactions are local, they are done face to face, reducing the chance for fraud or misleading offers. Since the deals are done in person, you get your money immediately, unlike the Ebay process. Take a look at your community's Craigslist to get a sense of the going prices for various goods. You may even see items for sale that you never considered turning into cash. With the economic slump, There has been a large boost in Craigslist sellers and scammers, so be persistent and careful. Those who keep reposting their sales items are the ones that make out best. Taking recently-purchased items back for cash is really one of the most efficient ways of making quick cash. Not only are you typically able to get your full purchase price back if you have a receipt (except for some categories like electronics, for which stores often charge a "restocking" fee); but you'll reduce your stuff and pay penance for your spending habit, too. Of course, if you've made your purchases with a credit card, you'll only get a credit, and a good thing, too -- buying items on credit and taking them back when you need to pay for your power bill is an indication that you're buying too much on credit! Try cutting up your credit cards and only paying for purchases with debit. Then you'll have a simultaneous benefit: the ability to get cash if you need it, and the sobering influence when every purchase you make has an immediate impact on your available funds. One way you can get some quick cash is to sell scrap metal to your local salvage yard or recycling center. One DailyFinance blogger's co-worker bought a used camper for just over $600 and took his old one to get scrapped. The scrap value of his camper almost paid for his new camper purchase. We want to focus on the legal ways to get some money from scrap metal so first we need to find some. If you are remodeling or have unused copper pipes in your house it may be worth pulling them out and heading to the salvage yard. If pipes are out of reach, check out your garage, basement or shed, where I am guessing you can find something to salvage. This endeavor may be especially profitable if you have been something of a packrat in this metal treasure trove of yours. Don't have a room or building full of old odds and ends at your disposal? You can still get in on the salvaging action! The first places to check are any refuse areas around your neighborhood, where you can look for discarded metal objects. If dumpster diving disgusts you then, look at your neighbor's property. Do they have an old swing set nobody uses or a garage packed full of "junk"? If so you can either be upfront and split the profits with them under the pretense that you'll do the heavy lifting, or you can offer to "clean up" their garage as a neighborly favor! Of course there is another metal you can sell. Read about Is Now the Time to Sell Your Gold? Married couple, Jacob and Susan D'Aniello, began their own pooper scooper business. Their small start from working out of their home turned into a multi-million dollar franchise called DoodyCalls. In the beginning, it was just them, a bag, a little shovel... They started the business when they were dating and basically fell in love over canine feces, and while the business became complicated, in the beginning, it only involved a little time, some exercise and then collecting the fee a short time later. If you're skilled with computers, you could set out a shingle and become a part-time computer repair-person. If you know how to cook, you could start to run a catering business out of your home (but check with your state; preparing food for the public out of your own kitchen can sometimes run afoul of the law). If you want to get some quick cash, certainly there are limitations to what sort of business you can begin. If you need a lot of inventory, you're going to have to spend money to make your money. But if you're going to do something that takes your skill, talent or knowledge, you can bring in cash quite quickly. No matter what, though, provided you enjoy what you're doing, if you start a business, whether you're successful or not, it's always rewarding. If you own some prime parking real estate, you could put cash in your pocket and get more exercise by renting out your spot and parking further away. If access to your car is less convenient, perhaps you'll drive even less, saving money on gas too.
" I had two parking spaces and one car. My upstairs neighbors had two parking spaces and three cars. So when Joe asked me if he could park his truck in my "guest parking" space, good-neighbor math indicated this was the best course of action. A couple months later, I found myself on the other side of the equation, in desperate need of a small loan to see me through until payday. I knocked on Joe's door, put on my best "cuppa sugar" smile and made my request. Joe handed me a couple sawbucks, saying, "Don't worry about paying me back. Consider it rent for the parking space." With those words, a beautiful, mutually beneficial relationship was born. Joe and Rebecca continue to use my extra parking space and so no longer have to park their third vehicle on the street, where it was broken into several times even before the current rash of catalytic converter thefts and gas siphoning. I, in turn, get occasional bump-up to my wallet for doing something I would have done for free anyway." Most part-time jobs aren't what they're cracked up to be, when it comes to getting paid quickly. If you flip burgers at a fast food chain or become a retail clerk -- it's probably going to be two weeks, at best, before you receive that first paycheck, and there are circumstances where it'll work out to three or four. When you need cash sooner than that, look for jobs that offer immediate money in your pocket, like one that includes tips. Bartending and waiting tables are two tried-and-true examples. Other quick jobs that you can do to bring in tips are taxi driver, hotel hospitality positions, pizza deliverer, or you could pull out your old guitar and becoming a street performer. Think of the proverbial lemonade stand, but all grown up. When DailyFinance blogger Sarah Gilbert is entirely broke, she'll get out her sewing machine and make her favorite quick project: stuffed geese (made out of thrifted fabric). They sell like crazy on Etsy, an online shop devoted to crafty vendors, and is her go-to-plan when the well runs dry and she needs to bring in some quick cash. Another category of handmade items that sell especially well is soaps and perfumed or infused oils, although these typically take a little longer to make. Especially talented friends make great money selling their handspun yarn or knitting patterns. The potential for turning your favorite craft into quick cash is only limited by your imagination; but remember to test the market for an item first. Selling crafts is a fantastic way to make quick money (as long as you don't get too hung up in your hourly wage), especially for an at-home parent or someone with a lot of time gaps in your day. However, it's typically not a great way to earn a living -- there's a fine line between enjoying your skill with handicraft and turning your sewing room/pottery wheel/workbench into a sweat shop. The Internet is a great place to make some extra cash, or at least that's what all the pop ups I got last night said! Thankfully Amazon offers a legit method of raising some extra coin online for completing mundane tasks. To start you just need to sign up with Amazon's Mechanical Turk program, where companies post tasks that machines cannot easily do, but that are relatively simple for humans. You can choose an assignment, and, on completion, are credited with payment to your Amazon account. This money can be withdrawn once you accumulate $10. However, these payout amounts are much lower than the many online ad programs or survey sites which greatly increases the chance that you'll eventually see the fruits of your labor. As I check out the current HITs which I qualify for I find over a hundred of them, ranging from free up to $7, but most seem to measure in cents. If you have a lot of time or you feel comfortable "turking" on your employer's dime then this program could be a good way to make enough money to bankroll your entertainment needs or cover groceries for a week. While this is a relatively easy way to earn money, the time and effort needed to reach a reasonable amount holds this back from being an amazing opportunity. This is a good deal if you aren't easily bored and you have the ability to quickly handle simple tasks. But for most people, you'll start off full of gusto and end up with 28 cents in your account. How much money can you raise at a yard sale? It depends - on what you have to sell, where you are selling, the weather, advertising, the competition. 1. Be realistic. If you are selling an item in almost new condition, don't expect to recoup much more than 25% of the original retail price, less if it shows wear and tear. If the item is actually what dealers call, "mint in box," then you might see 50% but consider any offer. 2. You can reduce advertising costs and increase traffic to your sale by running a multifamily or block sale. Make sure to run ads in local newspapers, and if your town allows, post signs. Specify big ticket items in your ad (child's bedroom set, water skis) but include enough broad categories to attract the general yard sale shopper. 3. Check with your town or city hall to see whether you need a permit. 4. Price in advance, open early, have small bills and change available, and if you can handle it, let the early birds shop. Consider cutting your prices in the last hour(s) of the sale. 5. Enjoy yourself. Make it pleasant for people to buy from you. If an offer seems too low by all means counter-offer but don't be offended. You'll have a chance to make someone's day - possibly a child's - so don't miss the opportunity. Private and public agencies that provide emergency assistance in cash are uncommon, and those that do usually restrict that largess to those well below the poverty level. However, many will provide other services and items that you would otherwise spend money on, so this charity could free up some dollars to apply to your other most pressing needs. Among the most common of these are food banks and open dining opportunities, help or waiver of utility costs, and clothing and other household essentials. Your local government often has a person or office that acts as a clearinghouse for social services. Don't forget about churches and social clubs, too, who often have less formal outreach programs, especially for members in distress. You'd be amazed at the not-for-profit groups that are sitting on many thousands of dollars simply because no-one has asked them for some of it. Asking for charity can take a big chunk out of your pride, but depriving your loved ones of necessities does too. Perhaps you can one day use this humbling experience as an inspiration to help others through their tough times. You'll find that giving does as much for the giver as the receiver. If your income is low enough, you may also qualify for "food stamps" to help you until you are back on your feet. More than 46 million people receive food stamps, nearly half of them children. The average monthly benefit is $132 per person. Benefit cards work like debit cards, allowing users to swipe them for food purchases at some 231,000 stores around the country that are authorized to take part in the food stamp program. Temping is good for the soul. As a temp, you quickly become aware of just how few intelligent, hard-working people there are out there. If you show up to work on time, take reasonably short lunch breaks, don't leave too early, and demonstrate even the slightest amount of energy and initiative, chances are that your employers will view you as the second coming of the messiah. In many cases, they will even offer you permanent employment. Also, temp jobs pay really well, although most temp companies don't provide benefits. Another great thing is the glimpse that you get of the inner workings of companies. You can see how temp companies work, how transnational corporations work, how law firms work, how human resources departments work, and so on. Most large universities have ongoing medical research projects evaluating the efficacy of new medicines and treatments. As part of this evaluation, they often need 'volunteers' on which to test these medications. Since the pool of willing volunteers is limited, cash compensation for the volunteer's cooperation is sometimes provided, ranging from a few hundred dollars up to four figures. The National Institutes of Health has 300 studies that need volunteers. The Rochester Clinical Research is looking for healthy volunteers to test vaccines. Just Google medical test volunteers for more. Most studies are looking for reasonably healthy people. And, of course, this could be hard-earned money. The fact that you are a guinea pig means that there is at least a slight chance that, through you, the researchers will discover negative consequences of the medicine or treatment. On the upside, you'll probably receive a free physical. Sharing living expenses can put more cash in your pocket. However, If you ask someone to move into your spare room -- or onto your couch -- draw up a lease agreement, even/especially if your prospective boarder is someone you know. Have conversations about how to share living space, particularly if, as in my case, you only have one bathroom. Make sure to outline kitchen privileges, including whether or not you want to share food. Yes, you did buy that life insurance for a reason and you may have family members who would desperately need the proceeds in the event of your untimely demise. But if things are getting desperate now, you may be able to turn that policy into cash. And, no, you don't have to die to do it. If it is "whole" or "universal" life (a type of insurance you buy to last your "whole" life and your heirs get the payout even if you live to 104), you pay higher premiums, but the insurance has a "cash value" that you can tap any time. All you have to do is call your life insurance company to access the money. It won't be much if you've only had the policy a few years, but at least you won't be paying premiums anymore. This is an option that you should only take if you are still fairly young and healthy, really desperate for cash and can't afford the premiums anyway. Depending on how long you are expected to live, you can sell your policy for between 30% and 80% of the face value of your policy -- an amount that will be much higher than the cash value of a whole or universal life policy. If you are interested, you can read some general information on viaticals from the National Association of Insurance Commissioners and peruse information on the website of the Life Insurance Settlement Association (LISA), a trade association for this industry that also provides lists of viatical settlement companies by state). General rules are to get quotes from several investment companies and watch out for high commissions. If you're responsible with your money and know that you're facing less than two weeks of a cash short fall, borrowing $300 today in return for repaying $345 in two weeks may be a good idea. If you're the sort of person who has a continual spending or money management problem, this is the dumbest thing you could possibly do. If you do feel like you have no other choice than to visit one of these establishments, make sure to take along proof of employment, which can be tricky if you're self-employed, but it's still possible -- just bring lots of documentation. Obviously, regardless of your work situation, take along a photo ID like your driver's license. Sure, given the payday lending industry's reputation, it may not feel like the best road you can take. But it's a perfectly legal one. I'm still trying to figure out why payday lending is perceived as such a worse option than plastic, with its universal defaults and variable interest rates that can also, if handled improperly, destroy your credit. If you need quick cash, your retirement savings can look like a great place to find the lump sum you need, but tread carefully. There are lots of rules and if you don't qualify for an eligible withdrawal you'll have to pay a 10% penalty plus taxes on the money at your current income tax rate. So suppose you need about $10,000 and are in the 25% tax bracket: in order to get that net amount you would need to withdraw $15,500. Of that amount 10% ($1,550) would go toward paying the penalty and 25% ($3,875) would go toward taxes, which totals $5.425. From that $15,500, you would be able to use $10,075. Let's say you think you will have enough to repay that money in a couple of years. Forget about it. You can't replace retirement funds you withdraw. You've lost the savings opportunity forever. Now let's suppose you kept the money in the account and invested it for 20 years at a return rate of 8%. That $15,500 would be worth about $75,000. 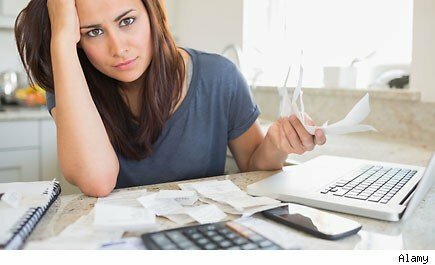 You must think about whether it Is really worth it to you to lose that savings opportunity or do you want to find another solution for getting the funds together. These calculations are based on a 10% penalty, but you can avoid that penalty with certain types of withdrawals. All IRA withdrawals, unless you have a ROTH IRA, require that you pay income taxes at your current income tax rate on money you take out of the IRA. Read more about 401(k) Loans. Basically, pawn shops work like this: you bring in your items, which you offer up as collateral on a loan; in most cases, the loan will be about ten percent of the actual value of your item. If you agree to the loan, the pawnshop gives you a loan ticket. At this point, you have three choices. One option is to buy your item back. To do this, you go to the pawnshop sometime in the course of the next month and pay back the loan with interest, which is usually somewhere around 20%. Your second option is to come back a month later and pay the interest on the loan, in which case you continue the loan for another month. Your final option is to let the loan expire, in which you keep the money and the pawnshop keeps the goods. The positive aspect of the pawnshop lies in the loan. Unlike a payday loan or other short-term loan, you have already given up possession of the collateral, which means that, should you default on the loan, you will have nothing more to pay. You will not have to worry about interest on the loan compounding, driving you deeper into debt. Another positive aspect of pawnshops is the impermanence of the transaction. Unlike a clear sale, a pawnshop loan allows you to regain possession of your item. Therefore, if your fortunes turn around, you will be able to get your stuff back. With Craigslist and eBay, once your stuff's gone, it's gone. Finally, pawnshops are very convenient. While Craigslist and eBay will net you far more money for your possessions, getting the cash can take days, weeks, or even months. With a pawnshop, getting paid takes about as long as it takes you to cart your stuff down to the store. You don't have to worry about keywords, pictures, listing your item properly, fraudulent bidders, or any of the other headaches that accompany internet sales. You simply drop off your property, whine a little bit about how the pawnbroker is screwing you, grab your dough, and leave. The downside is pretty obvious. If your precious possessions stay with the pawnbroker for over a month, he puts them on sale to recoup the cost of your loan. Chances are that he will be able to sell your stuff for a lot more than he gave you, which means that, once your month is up, you probably won't be able to buy your stuff back. Don't Call It a Pawnshop: Where the Rich Go for Quick Cash. Advertised sperm donation rates vary from $1 to $200 per week; most donors can expect somewhere around $40 per donation. Given that you can only deposit sperm every five days, your career as a sperm donor will probably only net you enough money to eat at McDonald's. Although, if you save carefully, your genetic material could translate into a sweet home theater system. To begin with, sperm donation isn't a quick and easy, drop in, drop off, pick-up-your-cash type of deal. Among other minor irritations, it requires months of tests, a six-month to three-year commitment to a sperm bank, and no "liberation" of sperm when you're off the clock. Added to this is the fact that you will probably never know what happened to your children, although recent events are conspiring to strip away the cloak of anonymity under which many sperm donors have made their contributions to society. In other words, regardless of your position on the whole anonymity thing, sperm donation could end up being a little awkward. That having been said, there is a desire for healthy sperm donors and the money is nothing to sneeze at, particularly if you're currently working your way through your ramen and tuna fish years. Unlike egg donation or surrogacy, the comparable options that are available to women, sperm donation is relatively non-invasive, albeit a lot less lucrative. Fellow blogger Amey Stone shared with me an excellent blog experiment on the potential for selling bottled water at a freeway exit, in which a blogger sold a case's worth of water in less than 30 minutes. A friend who is in the wholesale flower business makes a point of disposing of too-old bouquets in a way that avoids further damage, knowing that people will pick up those discards and sell them at roadside. Roadside sales can pull in some quick cash. Pick high-profit items that aren't highly perishable and/or have a high cost/sale price ratio; cold soda, corn, baked goods, flowers. Pick a location that is safe, where passersby can park without hazard, a location that has a good traffic flow, and one for which you have permission, or at least is not illegal. (Freeway exits are not usually legal sales areas.) You may be required to have a vendor's license, also. Don't expect to get rich, or minimize the work involved. But if you really need some quick cash, roadside sales can help you over the hump. And it will leave you with more pride than those simply begging. So you're broke, and you need money, and it suddenly occurs to you that you are sitting on concert tickets to High School Musical: The Ice Show, or Taylor Swift. If the water dept. is threatening to cut you off for non-payment, scalping those tickets could save you from a dirty, smelly fate. In circumstances such as this, a rational person will consider scalping the tickets to recoup their investment, or perhaps even realize some profit. However, proceed with caution. While it is generally legal to resell tickets for what you paid for them or less, some states frown on selling them for more. Check you state laws for scalping restrictions. You could go the Internet route to sell your ducats, on sites such as StubHub.com. If you're thinking of selling them on eBay, you can fill out a form to learn if your state allows or disallows it by clicking here. If you decide to sell them in person, you still have some options. Spread the word to family and friends, understanding that if you charge a premium you will become the black sheep of the family. You could also go to the event on the night it is to take place and work the entrance area. Scalpers customarily hold tickets up and repeat 'Got two," or however many you might have. Show up early, and if the event is a sellout, you'll probably find fulltime scalpers that will make you an offer to take the tickets off your hands. Many people take this strategy one step further, and buy tickets to events with the intent of scalping them later. This is a form of gambling that few people can do successfully, though. When a ticket or two is all that is standing in the way of your economic relief, at the cost of missing a couple of hours of entertainment, it seems perfectly understandable and ethical -- at least to me -- to sell or scalp your ticket and try to get as much money as someone is willing to pay. 100,000 homeless can't be wrong! In states that require a deposit, 50 cans could bring you $2.50. As scrap, 32 cans make a pound, worth 70 cents. Finding enough scrap cans is fairly easy. Scan parking lots and ditch lines. You can keep a couple of plastic shopping bags handy to throw cans into. Most people you know send aluminum cans into their recycling bin. If you make a routine of collecting the cans from them for yourself, they are more than happy to hold them for you. Coworkers are also a good source of scrap cans. Processing and storage is probably the most difficult part of my can saving project. The foremost rule for me is to deal with the cans as soon as possible after I receive them. I crush the cans a number of different ways, and I store them outside the house and as discreetly as possible. Aluminum cans take up a lot of room. That is why many people are put off of the idea of saving them. However, when crushed, you'd be amazed at how much poundage you can conveniently store. By crushing the cans and keeping them in sealed plastic bags, you can easily save up enough of them to make the hobby well worth your while. Please understand that this is our #1, most desperate way to make some quick cash, and only applies in this situation: you have some cash, but not enough, and MUST have more within a very short time or your life will fall into ruin. When you've exhausted every other possible avenue, only then does a reasonable man consider the casino. Why is this our most desperate? Look at Las Vegas. Those beautiful building don't grow in place; they represent the house's advantage. Games to avoid: slot machines, roulette, and other games that are 100% luck. The house advantage is considerable and unalterable. Also avoid games in which you compete directly against other betters, such as poker. A game like blackjack is the best avenue to win. A four-deck game gives the house only a .51% advantage, vs. 9-10% on the slot machines. And, most importantly, take this vow. Read it aloud. "I will quit the moment I have the money I need."